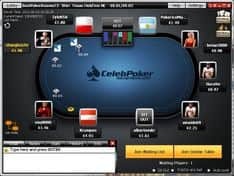 Celeb Poker Review 2019 - Fun Online Poker Games for FREE! Visit Celeb Poker Get $25,000 for Free! Are you in search of a casual yet thrilling poker game? Well, as luck may have it, you just landed at the right place. This clear-cut Celeb Poker online review will let you know why you should start playing this game right away. It is an easy way for you to participate in the most popular poker games, and you won’t have to lose a single cent. Everything is absolutely free and you are given a chance to play like the celebrities you have admired all along in blockbuster classics such as the Oceans series! 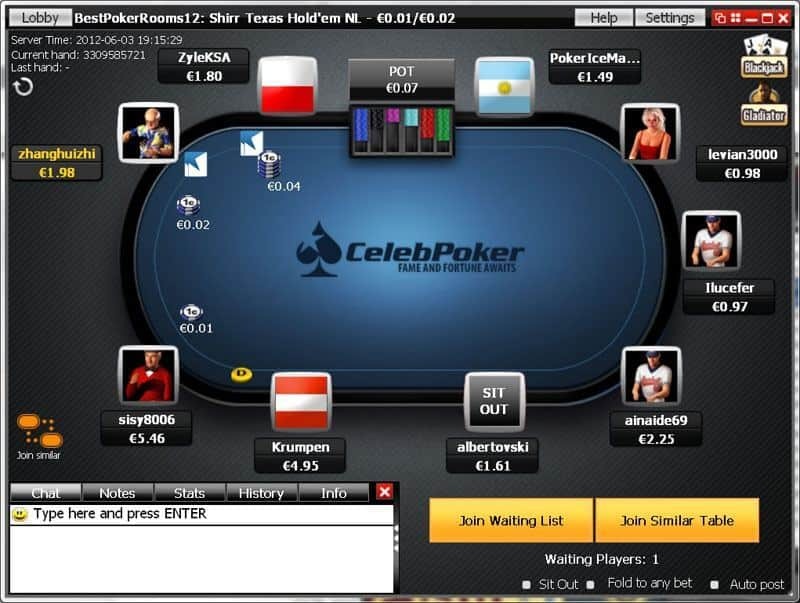 The Celeb Poker social gaming site was created back in 2011 by the esteemed Wizplay OS Cyprus. It’s a well-known software development company, acclaimed for developing thrilling games with crisp, high quality graphics as you will see first-hand once you start playing Celeb Poker. This game literally transfers you to a whole new affluent world, worthy of the rich and famous lifestyle. It comes with a great interactive feature where you can connect and reward your Facebook friends with luxurious gifts. After getting past the Celeb Poker mobile review section, you’ll definitely want to have this social gaming app on your device so that you can play on the go. Right from the home page, you will start feeling like you are already affluent. The graphics are super sleek, giving you a red-carpet welcome into the world of Celeb Poker. The interface is clean and exceptionally user-friendly and you can choose to start playing via the web application or download the mobile app for a more personal experience. The VIP treatment starts with their huge $25,000 free virtual currency in the form of gaming chips so that you can start playing just like a bigwig. In case you get stuck, there are a couple of tutorials and practical tips that will help smoothen out your gameplay so that you can play like a pro. This social gaming app boasts of bringing you a lifelike poker experience. From our Celeb Poker review, we were able to attest that it does feel as realistic as any poker game can get. That rich experience is enhanced by avatars, which you can use to represent yourself. Remember to use a high-quality picture so that you can maintain that executive look and feel of the game. You are going to choose between the all-time poker favorites, Texas Hold’em and Omaha, Omaha Hi and Omaha Lo. So, whether you love the classic game or you are just breaking ground as a new poker player, you will enjoy every minute of the experience. And when you get tired of poker, another classic casino game is waiting for you, the slots! If you have a mobile device, whether it’s a tablet or a smartphone, you can either download the dedicated app for your mobile platform or play the web version. Thanks to the exceptionally responsive site, we were able to test out the web version during our Cards Chat Celeb Poker mobile review and it was a total delight. Mobile apps are only available for Apple and Android users. The iOS app will smoothly support the iPad Air, iPad Pro, iPhone and iPod Touch. The Android platform on the other hand is compatible for all types of Android smartphones such as the One Plus 3, Samsung Galaxy S7, Huawei Matte 8 and Motorola Moto G as well as tablets like the Sony Xperia Z4, Huawei MediaPad T2 and the Samsung Galaxy Tabs. Users for Windows based mobile devices will have to stick to the web version, which is still awesome. So, if you have a Microsoft Lumia smartphone or a Surface Pro tablet, you will not miss out. Just hit Play on the web version and you can join in on the fun. 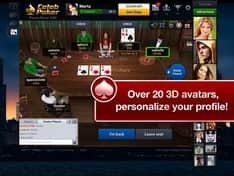 Even before we go to the tournaments that are available in the game, we noticed during our Celeb Poker online review that the developers of this social gaming app hit the nail on the head when it comes to the social aspect of playing. As high stakes tournaments proceed with your Facebook friends, you can send some cool yet hilarious gifts to them and even buy someone a drink with the money you win. It can’t get any better than that! This makes the social aspect of the game much more fun since apart from competitiveness, you get to share the joy with gifts. Just choose any of the Texas Hold’em or Omaha variants with a vast range of stakes and get started immediately. Looking at the tournaments available in this game, we were able to uncover some of the following during our Celeb Poker review. This soups up the excitement in case the games get a tad boring. Here you can play several ring games and tournaments at the same time. Furthermore, in the multi-table tournaments, you can boost your buy-in up to 50 times in just a single tournament! In this feature, you are given a chance to feel the authentic casino experience where you can take part in a quick 10-15 minutes of wagering action like a busy personality. It is great when you are looking to have a breath of fresh air in the course of a long work day. There are some extra special promotional tournaments that are meant to get you more rewards in the game. Your avatar will also be awarded with unique trophies that will help you stand out from the rest of the players globally. If you don’t feel like sharing your details, Celeb Poker does not come with any kind of restrictions. You can play incognito and you won’t have to leave any of your personal data on the site. Just remember, if you feel like you have played too many card games, you can cool down by spinning a few slots in the app! Lots of convenient payment methods are available for Celeb Poker in-app purchases depending on your country and region. For instance, when it comes to credit cards you can use American Express, UnionPay, JCB, VISA, Discover and MasterCard. E-wallets such as Google Wallet and PayPal are also accepted. Since the Celeb Poker social gaming site is only meant for entertainment purposes, no real cash withdrawals are allowed. Like all the social gaming sites available, the only major disadvantage is that you cannot play games at Celeb Poker for real money winnings. All the money here is in the form of in-game virtual currency. 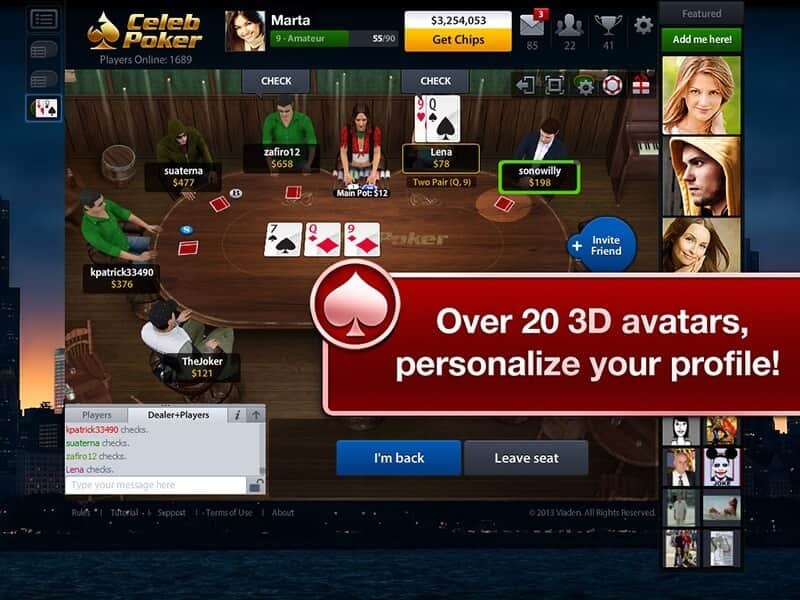 The promotions available at Celeb Poker social gaming app are provided so that you can keep having fun. Some of the most outstanding bonus rewords are as indicated below. From this Celeb Poker online review, it is needless to say that if you love playing poker, you have to download the dedicated app so that you can keep playing wherever you are. All in all, this social gaming site comes with a luxurious technical environment that doesn’t force you to dish out large amounts of real money like most regular online casino games. Join the tight-knit community of fellow poker enthusiasts and take advantage of the occasional bonuses and rewards to dominate global leaderboards.